The first time I went to the Towne Crier Café was in 1985… to heckle my boss Tom Rush. The Café was then at it’s original location in Beekman, NY. My wife, Mary Ellen Bernard and I were spending the weekend in nearby New Milford, CT with David Buskin and his wife Abra. We were brain storming with them and Robin and Wendy Batteau about how to launch their new B&B album. David, Robin and I were in Tom’s band but he chose not to use us that evening so we went seeking revenge! Our host was proprietor and music maven Phil Ciganer who gleefully conspired by seating us all near the stage. It helps to have low friends in high places. It’s a night Tom would like to forget. All was forgiven by the next gig. 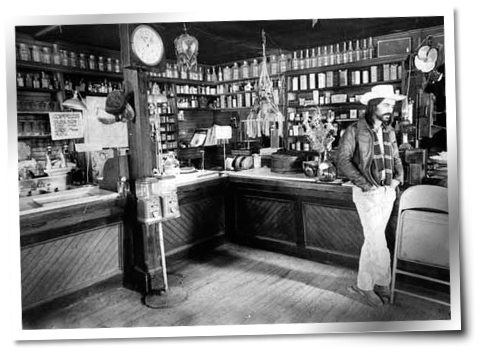 In 1972 Phil transformed what was once the Old Beekman Hotel and General Store into a music room and café-restaurant. Phil is equal parts hipster, promoter, carnival ringmaster and restaurateur. In that post-Woodstock era, upstate New York took on a certain mystique with regard to music. There was something in the air and the Towne Crier Café seemed to epitomize it. One of the first people to play there was Pete Seeger. There would be over 5,000 more shows in Beekman before he moved The Café to Pawling, NY. Phil loves musicians and music. Dedicated to presenting the best music experience possible, he installed a state of the art sound system in the new Pawling room. He also had a separate bar with glass so customers could gab and not disturb performers while watching the show. And he reminded the audience to be respectful of the performers. That’s old school, baby! As always he personally “curated” the shows he presented. Pairing up just the right combination of headliner and opening act. This offered new or young artists the chance to find an audience. I have memorable nights backing up Tom Rush and Buskin and Batteau on that stage for some of the best audiences ever. So when the Bacon Brothers were looking for a place to do their first public show I called Phil and asked if he would book us. It took a little convincing. Like most people he was skeptical when it came to “actor bands”. Are they for real? Could they play? Fortunately he trusted my opinion. Which made me feel good. When the big night came Michael and Kevin were understandably a bit nervous with friends, family and show biz buds filling the room. Meryl Streep, Ron Howard and Giancarlo Esposito, among others, packed the room. I must say it was a triumph. Everyone was ear-to-ear smiling, including Phil. To paraphrase another legendary club owner… this was the beginning of a beautiful relationship. The Bacon Brothers appeared many more times including a raucous New Years Eve. I have a clear picture of me jumping off stage and dancing with Mary Ellen and Kyra Sedgwick during Footloose. Champagne was flowing. Mary Ellen and I went back to the Towne Crier on many occasions, opening for Richie Havens, Rockapella and Sloan Wainwright, and to be in the audience for other artists. It’s fair to say that on the Americana music circuit the Towne Crier Café has become an institution. But I know that Phil thought about closing shop from time to time. Running a club and restaurant is a relentless grind no matter how much you love it. 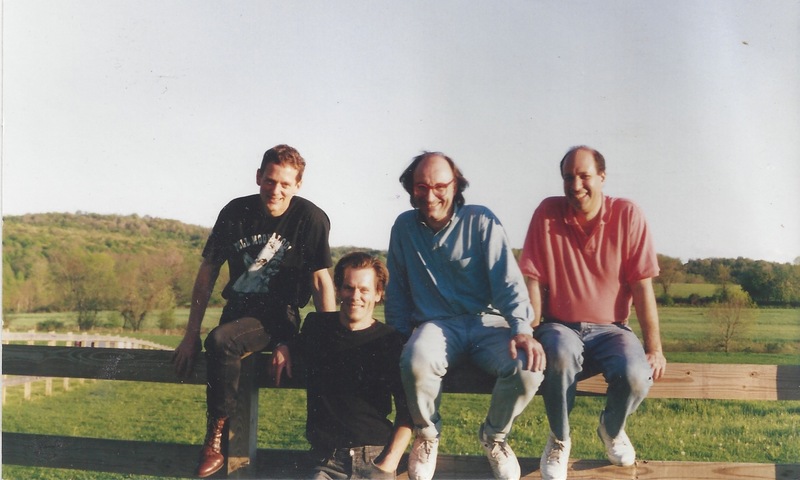 So everyone in our end of the music biz was thrilled when Phil announced the move to Beacon. The Café fit right in to this town which already has an arts and music heritage of its own. There are not many music rooms that have carried on since 1972 and none, to my knowledge that have been run by the same person. So it is with great pride and pleasure that I find myself heading back to the Towne Crier Café stage to give this new one a test drive. 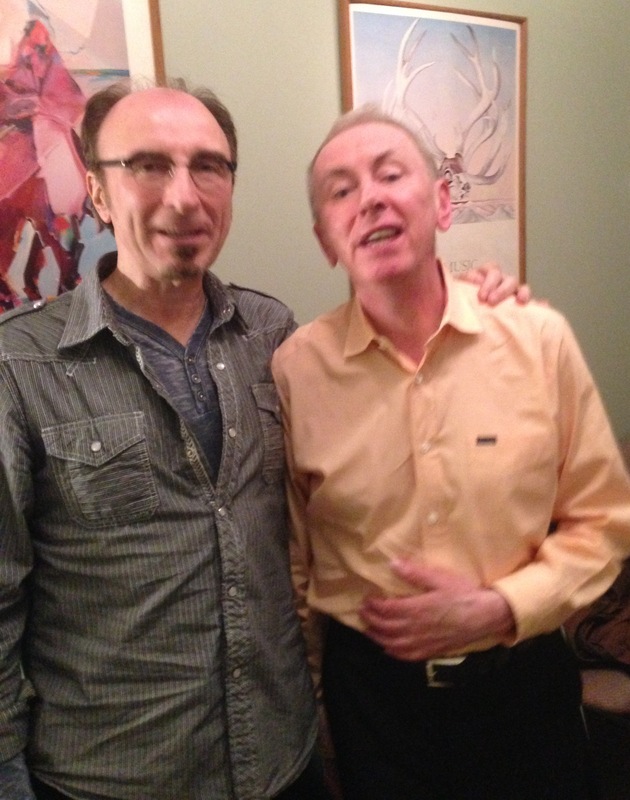 On June 6th 2014 I’ll be there opening for one of my favorite songwriters Al Stewart. Here’s to the next chapter Phil! I think that one of the most important words in the English language is empathy. It’s one of the things that make us different from the lesser creatures of the earth: the ability to understand and share the feelings of another. In our “what’s in it for me” culture too often empathy gets pushed aside. A few years ago I met Jake Stigers at a BMI #1 rooftop party in Nashville. BMI does this whenever one of their songwriters gets a number one record on the charts. Sadly, it wasn’t for me! Chris Keaton who represents my song catalog introduced me to Jake and thought we ought to write together. We took the idea to my other songwriting partner Mike Greenly. Together we wrote a song that none of us alone could have. That’s the beauty of collaboration. It also involves empathy. Mike and I were blessed with coming from two-parent homes. But Jake showed us the world he and his brother Curtis grew up in. Honestly, I rarely gave the subject much thought. There are many reasons why a woman may find herself in the position of raising children on her own: divorce, abandonment or the death of her partner, maybe even by her own choice. Whatever the reason it’s incredibly difficult to be a single parent. Man or woman. But there’s something about being a single mother that’s different. For one thing it’s harder for her to find a job and when she does, she will earn less than a man. 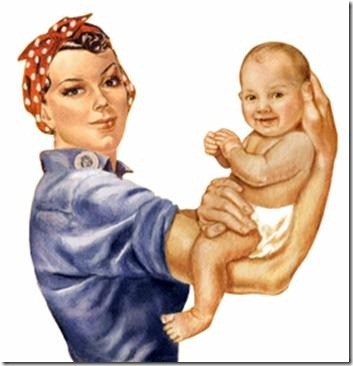 The single mom has been the focus of endless opinion pieces and commentaries. I’m not a social scientist, I’m a songwriter and musician. All I can do is imagine what it would be like. I have a niece, more like a little sister really because of our closeness in age. She and her husband John had a daughter Alison and were pregnant with their son John when John Sr. was tragically taken from them in a car accident. Through the years she faced the challenges every a parent faces raising a family. There were people around to help but in the end the responsibility was hers alone. I saw her become empowered and rise to the challenge. I read somewhere that for a single mother her child’s love compensates for everything. This must be true because there is love in that house. 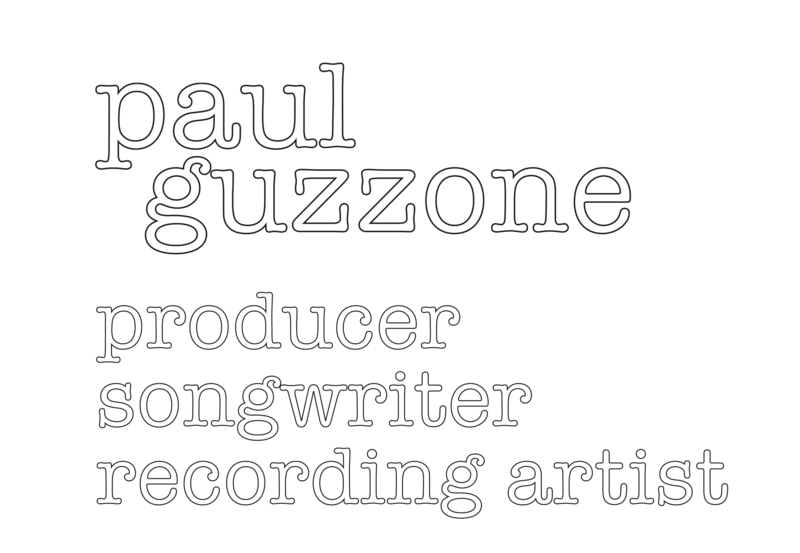 Single Mom was written by Jake Stigers, Mike Greenly and Paul Guzzone. Lead vocals by Jake with instruments, additional vocals and production by Paul. It was around this time of year back in 1994 when I got a phone call from Michael Bacon. He said: “My brother and I are forming a band and you’re the bass player”. 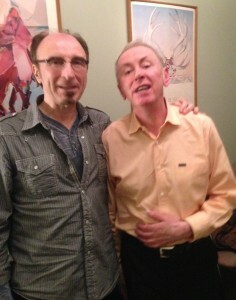 I met Michael many years before that when he was the opening act for Tom Rush at the Keswick Theater in Glenside, PA. Marshal Rosenberg and I were the rhythm section for Tom. We noticed this guy with a cool baritone voice who was playing cello and singing at the same time. How unusual we thought. He noticed the “colorful” singing bass player and Latin percussionist using a film can for a snare drum. How unusual he thought. He also thought, If ever he and his brother formed a band he would call us to be the rhythm section. I knew Mike’s brother was an actor but I didn’t know he was a musician. No one did. A boyhood friend of Kevin’s asked them to play a benefit. Mike saw this as an opportunity to form a band. The gig was in June but he wanted plenty of time to work up material and book musicians. So I got the call. Two days later I found myself at Mike’s studio singing with him and Kevin. Coincidentally, I had gone to a SAG screening the week before and now I found myself face to face with the guy I had just seen do a tour-de-force acting job on the big screen in Murder In The First. I was a little bit nervous. As it turns out so was he. While he was confident as an actor he was still growing as a musician and singer. And now here he was in rehearsal with a professional musician he had never met. But as our three voices began to harmonize, everyone loosened up. The vocal blend really was exciting to hear for the first time. It was great! And, I heard Bacon Brothers songs for the first time. Including Only A Woman and Memorize. There was definitely something cool going on. The experiment was a success so on to step two. We had a rehearsal with Marshal. That’s when Marshal and I suggested doing a warm up gig. We suggested a great music room called The Towne Crier, which was then located in Pawling, NY. (It’s now in Beacon) We hooked Mike up with the owner Phil Ciganer who booked them for a gig in late May. Still, what to call this new band? We all liked the name Mid Life Crisis. It was Kevin’s suggestion and I think he liked it because it took the spotlight off of him. But of course, they settled on The Bacon Brothers. What else could it possibly be? On the day of the Towne Crier gig we did our sound check in the afternoon then we drove back to Kevin and Kyra’s house which was about 40 minutes away just over the state line in Connecticut. We arrived to find Kyra making dinner for all of us, which was unbelievably sweet. The house was buzzing with nervous energy. A camera came out of somewhere. My wife Mary Ellen took a couple of indoor shots. Then we went outside because the spring sunlight was so beautiful. We went over to the fence and took this picture. Kyra said: “I see an album cover here”. As we jumped up on the fence. Marshal and I became honorary Bacon Brothers as did Frank, Ira, Joe Mennonna, Charlie Giordano our crew Chris Fenn, Andrew Harris and our manager Chris Bailey. When I met the guys, Mike and Betsy’s son Neal was playing bantam hockey in grammar school. Kevin and Kyra’s daughter Sosie was a toddler and Travis was mastering his first skateboard. They have all grown up to be good friends. We’ve had ridiculously joyful times and unforgettable experiences tempered by sad and painful ones. I wouldn’t have missed any of it for the world. It’s been a great ride and there’s more to come. There’s a new CD on the way and we’re booked starting in spring and well into the summer. We’ll be singing and playing for all of our dedicated fans who made this possible and we hope to win over a few more. To quote Mr. Dylan: “I was so much older then I’m younger than that now”. I actually am, no really. I just finished reading The Mayor of MacDougal Street a memoir by Dave Van Ronk (with Elijah Wald). Much of the book is about the folk music revival centered in Greenwich Village in the early 1960’s, or as Utah Phillips referred to it: “The Great Folk Scare”. I came up in the music biz around 1970 with my band called Revival (named after the afore mentioned folk revival). We were more like The Lovin’ Spoonful or a country rock outfit like Poco than a folk group like Peter, Paul And Mary, but our roots were firmly in the Greenwich Village scene. I met Van Ronk on several occasions and saw him perform at The Gaslight, Folk City and later on in the 1980’s at the Speakeasy. I missed the heyday of “The Village” by a full decade but there was still an echo of that musical revolution in the air as we played the clubs, walked the streets and hung out with the other musicians and songwriters of our generation. Dave and his memoir were partially the inspiration for the Coen Brothers film Inside Llewyn Davis. As a result, musicians like Dave, Tom Paxton, Joni Mitchell, Phil Ochs, Joan Baez, Woody Guthrie, Pete Seeger and of course Dylan are being talked about a lot in the media today. 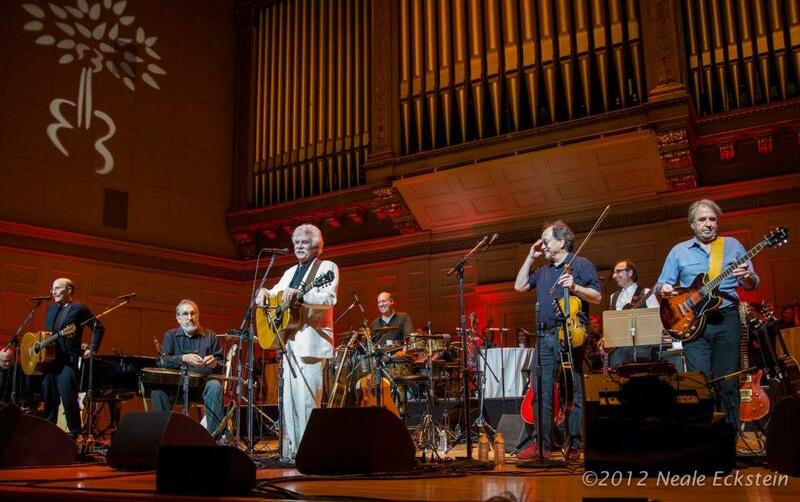 As fortune would have it, I closed out my year on stage at Symphony Hall with Tom Rush for his annual Club 47 Concert. 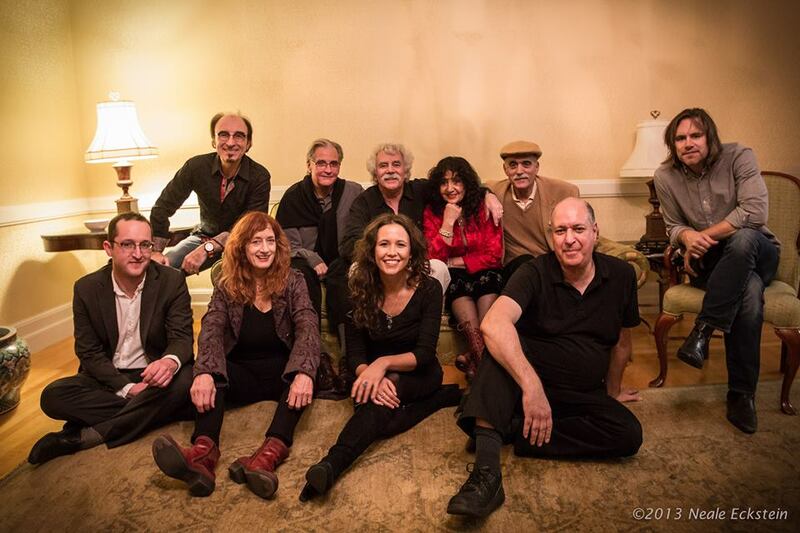 On the bill this year were performers from that era: The Jim Kweskin Jug Band featuring Geoff and Maria Muldaur and Bill Keith. Also on stage with us were Sarah Lee Guthrie (Arlo’s daughter and Woody’s grand daughter) and her husband Johnny Irion, plus one of my all time favorite songwriters and guitarists Patty Larkin. It’s a mini folk festival with everyone catching up or getting to know each other. 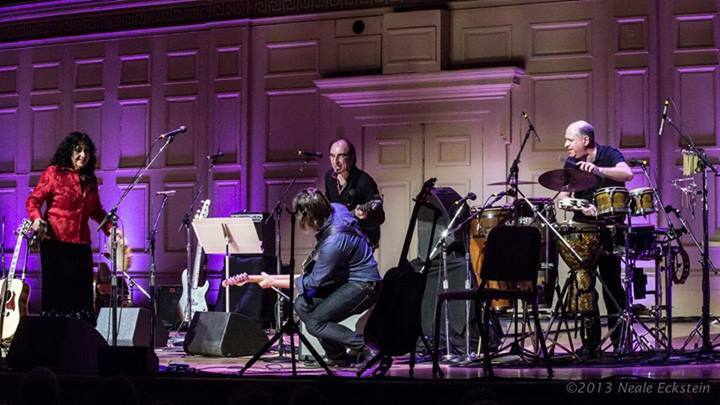 Performers sit in with one another, creating interesting combinations of players and songs. Patty brought a modern electric edge to the evening while Sarah Lee and Johnny reminded me of funky Richard And Mimi Fariña. She rocks a mean shaker and he’s a killer guitarist. (See below) It’s a delightful evening for the fans and musicians alike. Maria, Johnny in a blues rock crouch, me and Marshal backing up Maria on I’m A Woman. Backstage, there were lots of stories and laughs going ‘round. Maria regaled us youngsters with tales of her early Village days. Like when she and Geoff were playing in one of the coffee houses and a couple of well-connected wise guys strolled in off the street. Many of the Village clubs I should point out were “mobbed up”. A little nervous but thrilled by the offer, they did the gig. After all, they had never been paid that much! So, for at least one Saturday night Sinatra took a back seat to jug band music. Anyway, one of the highlights of this Club 47 performance was an impromptu rendition of Auld Lang Syne arranged and led by Bill Keith on banjo. He dedicated it to musician friends who have passed like Fritz Richmond from the original Kweskin Jug Band. Twenty three hundred strong in the audience sang along. Ya can’t beat that sound. 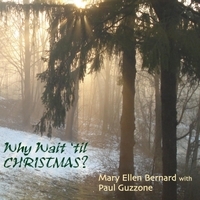 5 Why Wait ’til Christmas? 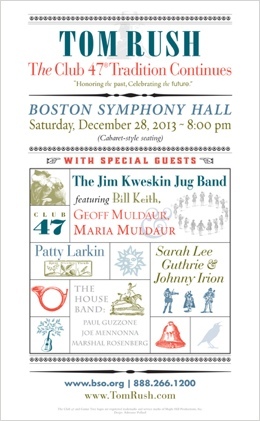 On December 28 I’ll be joining Tom Rush for his traditional year-end Club 47 Concert at Symphony Hall in Boston. 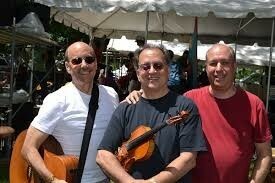 Along with band-mates Marshal Rosenberg and Joe Mennonna I am looking forward to another amazing evening of music. Look who’s along for the ride this year! 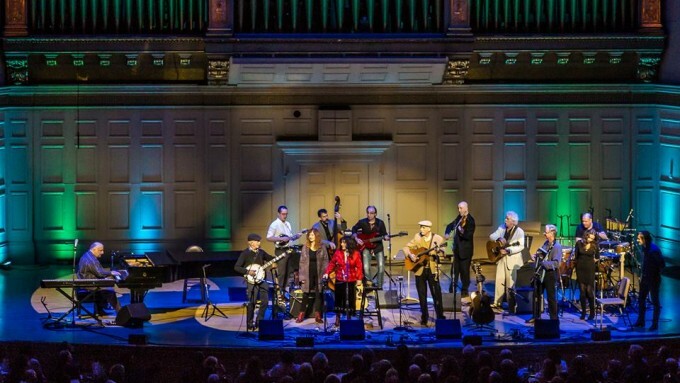 Notes: THE CLUB 47® TRADITION CONTINUES With TOM RUSH and his guests, the JIM KWESKIN JUG BAND featuring MARIA MULDAUR, GEOFF MULDAUR and BILL KEITH PATTY LARKIN and SARAH LEE GUTHRIE & JOHNNY IRION!